You're on.. Actually, you're probably going to beat me this year because I did mine in about 2.5 seconds.. 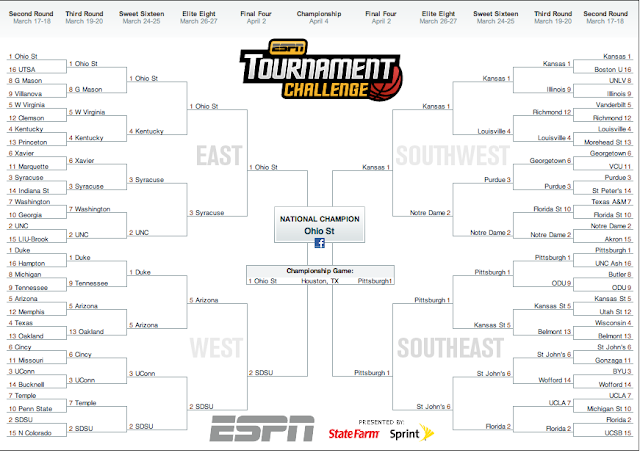 But good luck..
@justin - i, too, threw my bracket together quickly. Thanks to the four of you who entered the all glory, no reward YGF bracket challenge. I think it was a pretty good turnout considering the games started at noon eastern. Update: Clif of Lunker Hunt has taken a commanding 20 to 10 lead after two games. Looks like this challenge is already over. @royal wulff - ha. I spent some time in Ohio during undergrad and I can safely say that both OSU and Ohio-bound UM fans are annoying. As a native delawarean, I feel some bond to UM because UD stole their football helmets, but OSU's team just seems to good this year. @royal wulff/mike - although, I must add that any fan that is not a philly fan is annoying in my book. With a broad brush I do stroke. No worries there, I must bow to the odds for OSU. Still proud my boyz put the boots to UT. Duke next, hope that's a good game. I'm doing well, but my wheels are starting to wobble pretty good. I'm about to write off the entire RH side of mine. Pitt's out and, as of press time, ND is getting smoked. 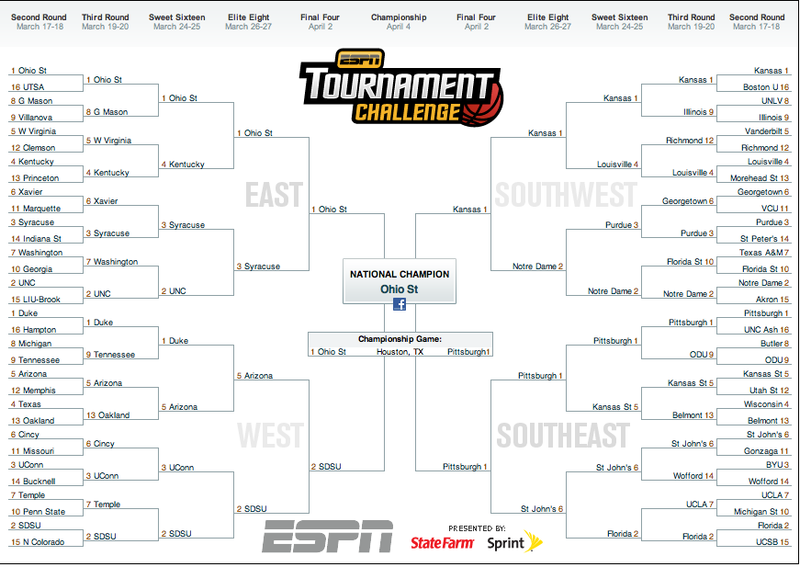 @clif - i am starting to write off both sides of my bracket. @mike - that was a great game. I thought the wolverines had it. The two teams I despise each year, UNC & Doook are still moving forward. Any year that those two Research Triangle Park universities make it past the 1st round is a bad NCAA tourney year. And what the heck happened to Syracuse? The only good thing I see happening this year is that both UNC & Doook can't be in the last game. Whoop-de-doo...that's the only silver lining in this year's already dark NCAA cloud.